She reigns supreme across the airwaves of New York City’s premier Hip Hop radio station Power 105.1, holding court as the female in charge on her celebrated The Breakfast Club (The World’s Most Dangerous Morning Show), alongside hosts DJ Envy and Charlamagne the God! 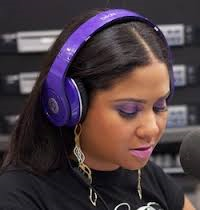 Angela Yee is a force to be reckoned with as she continues to steer a way for female radio DJ’s / presenters in the industry by remaining focused, fearless and humble in her pursuit of a purposeful career to stay on their game by remaining professional and focused at all times. The East Flatbush, Brooklyn native has come a long way since her beginnings as an intern with Wu-Tang Management, working her way up through marketing roles at Eminem’s clothing company Shady Limited and then landing a radio role on Em’s radio station Shady 45 across the Sirius Satellite Radio network. Hosting ‘Lip Service’ and ‘The Morning After with Angela Yee’ put Yee on the radar in 2005 as the female to watch in hip hop radio. Spending over 5 years with Shady 45 and opportunity arose with Power 105.1 in 2010 and saw Yee move on to host the world famous and very candid “Breakfast Club” with counterparts DJ Envy and Charlamagne. As a well-oiled machine, the trio has changed the face of New York radio with their sharp and witty repartee, candid and tough interview style and ground breaking news, music and information on the world of Hip Hop. A feat Yee and her crew are undeniably proud of and maintain the consistency of staying at the top of the radio listeners’ dial of choice. Angela Yee is more than just a radio personality. She is a media powerhouse that has worked on a multitude of platforms supporting and empowering the role of woman in Hip Hop. Having recently appeared in the popular VH1 reality TV show “Gossip Game” which followed the lives of seven New York based woman in the hip hop journalism and blogging industry, Yee’s role highlighted her character as a woman who prides herself on being professional, authentic and original in her career pursuits, whilst showing a playful and humble side to a role that is more often than not unfairly plagued by the hip hop community with lashings on scandal, gossip and plain old ratchetness. Yee rises above this stereotype and shows that a woman can maintain her integrity whilst in center of an ego driven industry like Hip Hop. I am most excited to be given the opportunity to interview this amazing female who, in her first Australian interview, opens up about her journey in Hip Hop and what she hopes to achieve in her career in media. There is nothing more empowering than being in the presence of a woman on her grind, who knows what she wants and how to get it, whilst remaining true to herself and supportive of those around her. Ms Yee is all that and more and continues to rise in the radio ranks in one of the most competitive cities in the world….. But don’t be fooled by her West Indian / Cantonese beauty and charm, she is a Brooklyn-ite after all , possessing a true hustlers spirit and making her mark in this game called Hip Hop! Thanks for your time with this interview Angela – how are you and how is life treating you? Life is extremely busy but I love everything I have going on. I recently bought a house and I’ve been in domestic mode. I think every day I buy something new for my home and I’ve never been broker or happier. Work is great; we recently got syndicated so we are on over 20 markets in the morning. That means we travel all the time on the weekend and work nonstop, but it’s truly a labor of love. Huge fan of your radio show The Breakfast Club on Power 105.1 (alongside DJ Envy and Charlamagne Tha God) in New York and have been following your career since your early days on Eminem’s radio station Shade 45 on the Sirius Radio Network. Has radio always been the ultimate career goal for you? What is it about hip hop radio that is inspiring and challenging to you given your career scope? Radio was never something I envisioned doing. When I was in college, my best friend convinced me to take a class to learn how to do your own radio show, and I think we both went to the introductory class and then just forgot about it. People always told me I have a unique voice and that I should do voiceovers, and whenever I would try to prank call someone they would always recognize my voice. When I was given the opportunity to do mornings at Shade 45, I went for it. It was challenging at first, and I was super nervous but I worked hard to become more comfortable and to stand out. Every day is different, with breaking news stories, crazy rumors, and personalities so I never know what’s going to happen. You are the only female radio presenter in your crew currently and the show is renowned for its hard hitting interview questions to celebrity guests and tongue in cheek humour the 3 of you possess. What do you think it is that makes The Breakfast Club such a powerful crew in the competitive radio industry in the US and how does Angela Yee maintain her role as a strong, ambitious and opinionated woman in this game? Envy, Charlamagne and I each bring something different to the table. Envy is the guy with the money and with the dj’ing skills. He sees these artists out and about and has established relationships with them. They respect him. Charlamagne is the guy that these artists want to get approval from. They know he will be honest about your music and that he represents the opinion of the average person, unadulterated. I tend to be the voice of reason and the one who will get in your personal life. And I always am myself. I have never been a malicious person, but I have also never had a problem asking questions. I let it be known that just because Envy or Charlamagne (especially) think a certain way that doesn’t mean that I feel the same way. We tend to agree to disagree on many issues. Now I watched you on the popular reality TV series Gossip Game and loved the show. Being a woman of colour myself in the radio / hip hop journalism industry in Australia I could really connect with what all of the women in this show were experiencing in their daily lives. 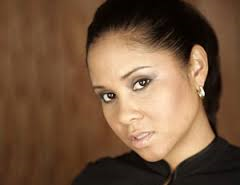 Did you feel your appearance on that show bolstered your career and gave people a deeper understanding of who Angela Yee is or was it just something you wanted to try on for size and see if it appealed to you? I don’t feel The Gossip Game necessarily gave too much insight into who I am. That show was supposed to focus on our careers and what it takes to make it, but it turned in to more of a she said, she said, who doesn’t like who, let’s try to make this person mad type of show. I don’t normally have issues with other women in this business and I tend to be very positive, so while I don’t think it hurt me I also don’t believe it did much for me. I would refuse to act out of character, but people will try you. Would you agree that there is a competitive side to woman in the Hip Hop media industry? Especially those in the gossip game such as journalists, bloggers, radio presenters etc ….. Is there still a misogynistic prevalence apparent in Hip Hop? I would say that any field of business that you’re in should be competitive, if you’re trying to be the best at it. Journalism has its particular nuances, with everyone trying to cover the biggest stories in their own unique way, but also battling to break a story first. I do believe the general public tends to pit women against each other and sometimes as women we feed into that. And as far as being misogynistic, yes. Women are still judged by their appearance and their personal lives way more than men are not only by men but by each other. Really inspired by your story and most of all your ambitious drive – starting out as an intern at Wu Tang Management and working your way up through to Shady 45 radio and now in the top seat at Power 105.1 – what do you think have been the main ingredients to your success and drive and how do you stay motivated? I believe that once you commit yourself to something you have to put forth your best effort because it’s a reflection of you. Whether or not you hate your job, your boss, your co-workers, none of that matters to the people who receive your work. They just want great product. I try to always be on time, always be gracious and thankful, keep it professional, and master my craft. What or whom would you say has been your greatest inspiration and why? I’m always inspired by people who overcome obstacles to get where they are. In real life, I continue to be inspired by my friends who are successful. One of my best friends, Santigold, will declare that she’s going to do something, like become a recording artist, and then just make it happen. She was one of my main motivations to buy a house. When I witnessed her efforts I knew I had to be next. What is hip hop to you and would you say it has shaped you into the woman you are today? Hip hop is a reflection of what’s going on in our world, whether it’s aspirational, true to life, or telling a story. I’ve always listened to music as a backdrop to my life. I have a different playlist when I’m going to host a party, a different one to clean the house, a different one for cooking, one for driving in the car, and one for chill time. The one thing you can share with us about Angela Yee that will surprise, maybe even shock us? That I enjoy being in the house! I know I go out a lot but whenever I can just relax I really cherish that down time. What do you know about Australia and will you ever come down here for a visit one day? Everyone I know that’s been there loves it and all the guys say they have the most beautiful women. And I know the flight’s long!